Man has always fantasized of a life devoid of illness and malaise. From ancient Greek healers’ search for a cure-all to modern day chemists’ quest for a miracle drug, the hunt for the ultimate weapon against diseases is a never-ending one. It is no surprise therefore that the pharmaceutical industry is one of the biggest money-spinners in any country, with scientists relentlessly working on cures. The panacea that generations of pharmacists have devoted entire lifetimes trying to invent, is concocted in a single episode of ThunderCats. 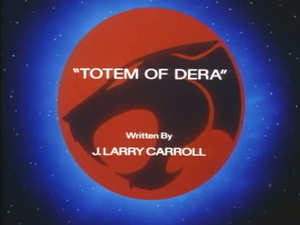 Like many other episodes, “Totem of Dera” begins inside the shadowy heart of Mumm-Ra’s pyramid where the bandaged being has come into possession of the eponymous relic. Part of the Treasure of Thundera, the Totem of Dera possesses not only incredible healing powers but also the ability to bring inanimate objects to life. 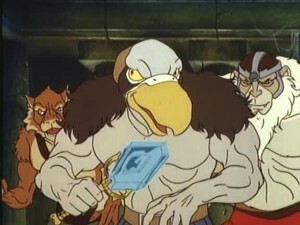 Mumm-Ra hands the totem to Vultureman, instructing him to instill his weapons with the totem’s powers. At Cats Lair, Snarfer is taking fighting lessons from Wilykit while Lion-O cheers on. The training session is interrupted by an urgent message from Lynx-O who has picked up strong signals of Mutant activity at Baleful Swamp. Seeing as that the Mutants don’t emanate any radiations or magnetic fields, it is a mystery how Lynx-O detected impulses of their activity from such a distant location. 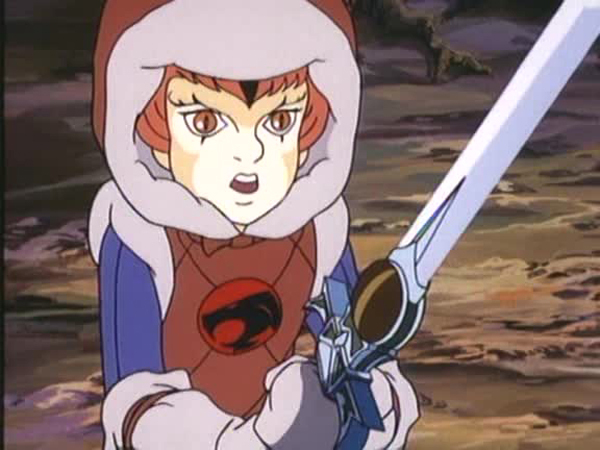 What further eludes comprehension is Lion-O’s decision to take two of the youngest ThunderCats with him to face the Mutants in one of the most perilous environments on Third Earth! The ThunderCat trio, garbed in protective Cat-suits, head to the Baleful Swamp to investigate. As soon as they reach their deadly destination, Vultureman fires his Totem of Dera powered gun into the swamps waters, producing a serpentine beast which causes the Thunderclaw to crash, sending all three brave souls plummeting into the bog. 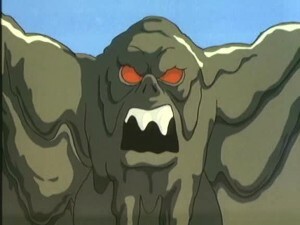 As Lion-O waddles out of the swamp carrying Snarfer and Wilykit on his shoulders, he trips and accidentally swallows some of the mire’s toxic water. As Lion-O writhes in agony on the shore, Jaga appears but cannot communicate with the now semi-conscious Lion-O. In a beautifully animated scene, the wise spirit instead uses his telepathic powers to transmit his thoughts into Snarfer’s mind, instructing the youngling that the Totem of Dera is the only way to save Lion-O. 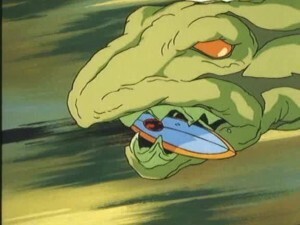 Not fully able to understand the psychic phenomenon that he just experienced, Snarfer nevertheless springs into action, wrests the totem from the Mutants, and uses it to heal Lion-O. Seeing their plan fail, the Mutants retreat, but their exit marks the entrance of another villain, Mumm-Ra, who grabs the Totem of Dera and brings to life the demon of the swamp. 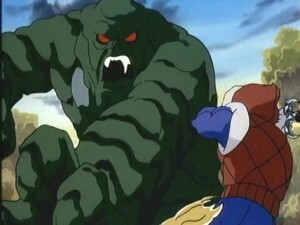 Lion-O calls for back-up but none of the ThunderCats’ firepower appears to have any effect on the sludgy beast. 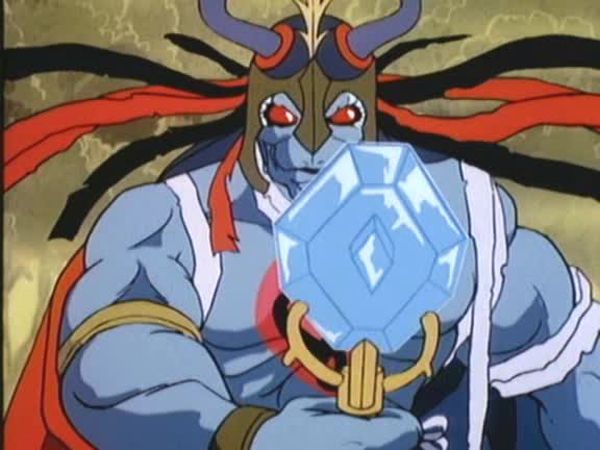 So the Cats use the Sword of Omens to fire at a nearby waterfall and the resulting deluge washes away the swamp demon, Mumm-Ra, and the Totem of Dera as well. The victorious ThunderCats return home. 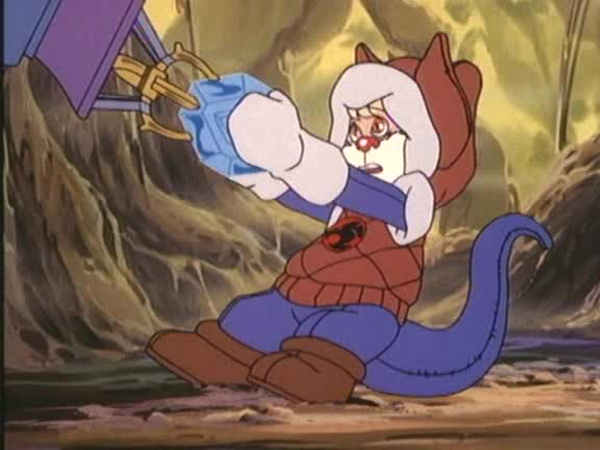 Just as his uncle had done in “Snarf Takes Up The Challenge”, Snarfer comes to the rescue in this episode. Given that all the other new ThunderCats had already proven their worth, it was only natural for Snarfer to get his day in the sun, even if the sunlight is obscured by the dense mists of Baleful Swamp! Despite introducing some brilliant ideas in his story, Carroll’s failure to capitalize on them weakens the script. 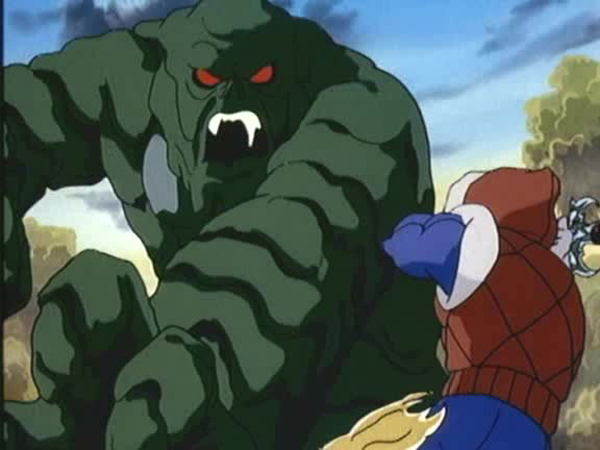 Instead of expounding on the plight of the poisoned Lion-O, or developing a longer battle sequence between the ThunderCats and the swamp demon, Carroll wraps these exciting bits up overly fast. 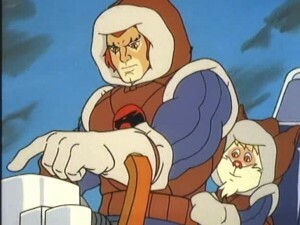 The remaining ThunderCats are also misemployed and only appear to give Lion-O a hand, literally. Perhaps the biggest disappointment is the manner in which Mumm-Ra is defeated. Just getting drenched in water is enough to send the ever-living demon back to his pyramid. Apparently it is not just cats that are hydrophobic! 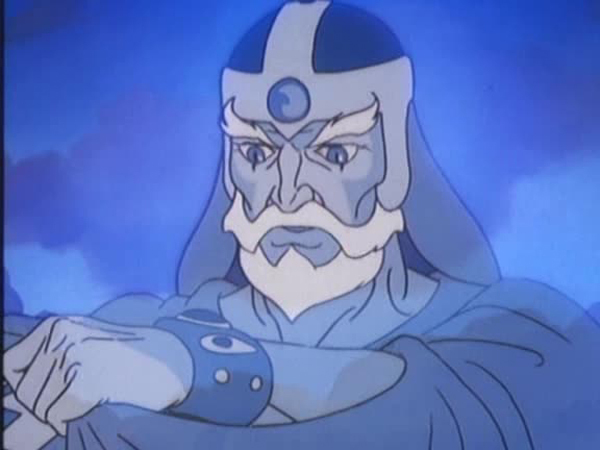 While it is a tough for writers to come up with new ways for the ThunderCats to defeat Mumm-Ra, Carroll’s tactic can only be described as a damp squib. 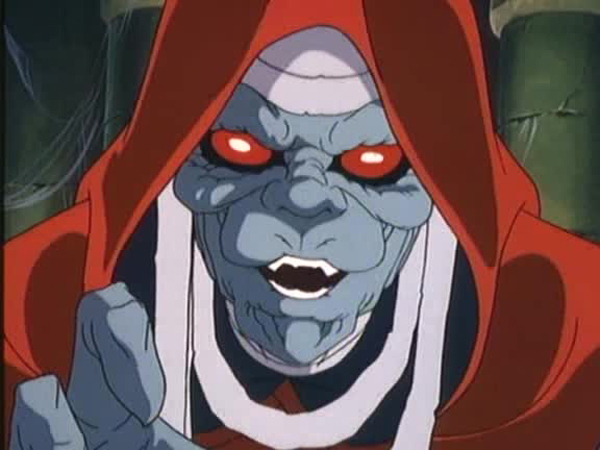 No information is given about the strange apparition that emerges from Mumm-Ra’s cauldron and hands him the Totem of Dera. The Cat-suits that the ThunderCats don in this episode were designed and created by Tygra and Panthro in the episode “ThunderCubs Part II”. The episode introduces three new water bodies of Third Earth, the Baleful Swamp, River of Poison, and Dismal Falls. 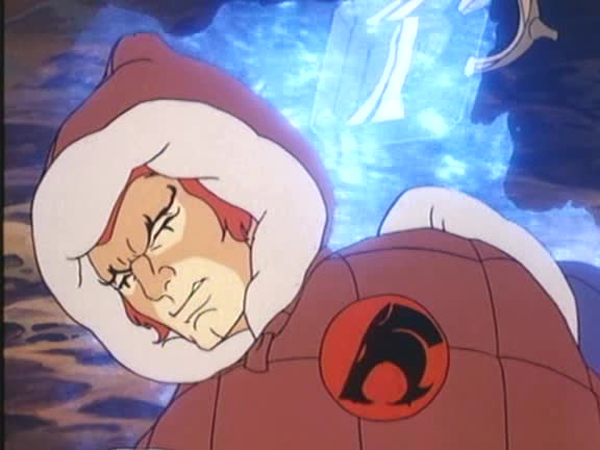 In this episode we see that Jaga is unable to manifest himself onto any of the ThunderCats except Lion-O. But curiously in the episode “The Ghost Warrior”, Jaga was able to materialize in a semi-transparent form when he fought Grune and was visible to all.